Furthermore, Deputy Director McCabe testified before the Committee in December 2017 that no surveillance warrant would have been sought from the FISC without the Steele dossier information. Glenn Greenwald highlighted why that passage would be significant, if true. Obviously, Dems think memo is dumb & irrelevant, & GOP think it's explosive. Regardless, if these 2 claims in the Nunes memo are true – and it's a big "if" – how is it not significant: 1) DOJ concealed function/origin of Steele dossier; 2) McCabe said no FISA warrant w/o dossier? “The Majority purposefully mischaracterizes both what is actually contained in the FISA applications and the testimony of former FBI Deputy McCabe before our committee in December 2017 — the Minority’s memo lays out the full facts,” the official said. This he-said, she-said back and forth doesn’t prove anything. 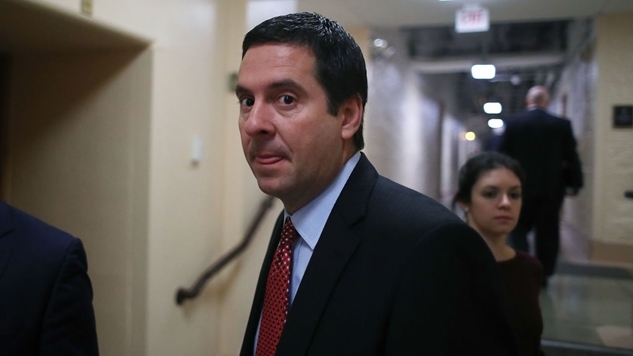 The only way we will know is if the transcript of the testimony is released, but this new report confirms the common sense underlying this entire mess: nothing that Devin Nunes says can be trusted unless he provides evidence for it. Given that there is no other corroboration of McCabe’s testimony in this four-page memo, it seems obvious that this was one section that suffered from omitting necessary facts to provide proper context.